Look what I got yesterday evening! OOOOooooo Ahhhhhhhh! 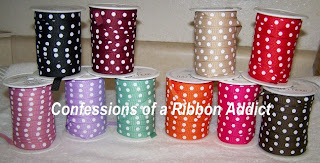 I am in LOVE with this beautiful ribbon! WOW I spent last night cutting and am *almost* done. 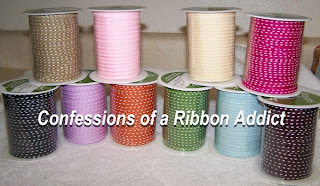 I will be shipping out the first round of ribbon on Thursday. 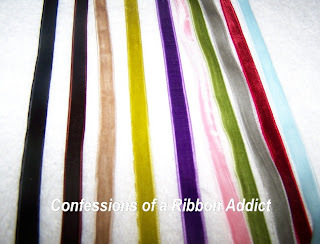 YAY The rest of the ribbon has already been shipped out to me, so as soon as I get it in, I will update here on my blog.